I've had a few canvases laying around for awhile and have been wanting to do something with them, but could never settle on what. 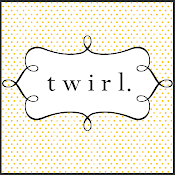 Enter a 50% off Michael's coupon & some great inspiration from YHL. 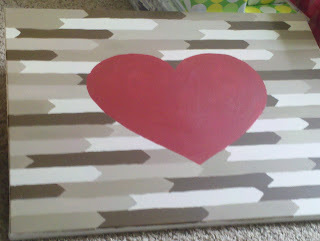 I also came to the conclusion that I'd love to attempt something for a gift. 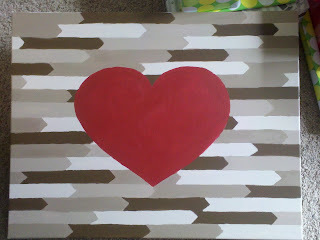 My little brother is getting married this fall & I thought it'd be fun to try and make something for their new place. And since I helped them register I thought I had a pretty good sense of what colors they'd like...so this last weekend I went for it. 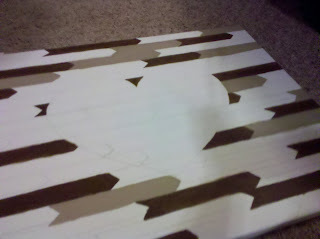 Went and got a large canvas at Michael's and some tester paints at Home Depot. (Paint at Michael's is like $8.99 for a small bottle and you can get a tester sample at Lowe's or Home Depot for about $3 - plus then you can make it any shade you want :)) I got brown, white & red for this project. 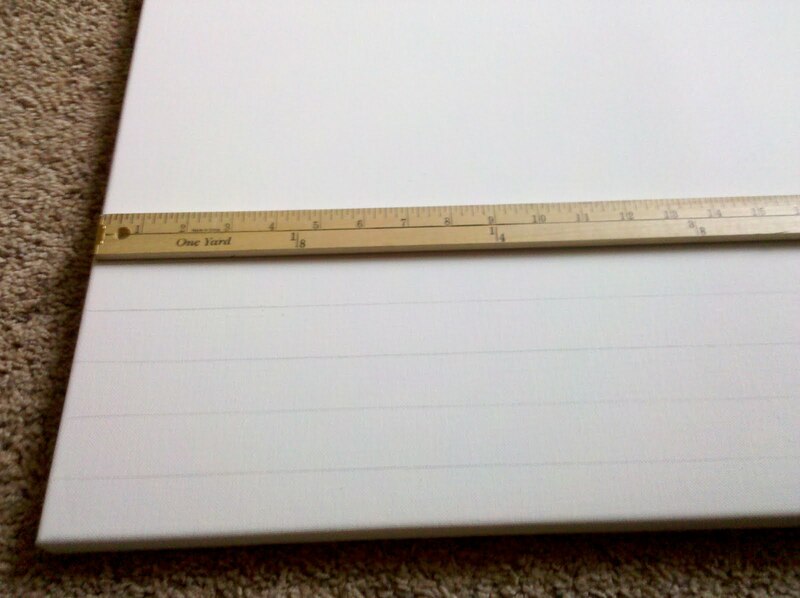 (The white so that I could make different shades of brown) I started by creating lines horizontally on the canvas with a yard stick. 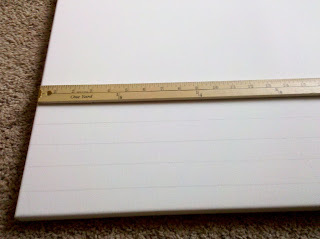 I just made each section the width of the yard stick so it was quick and easy. 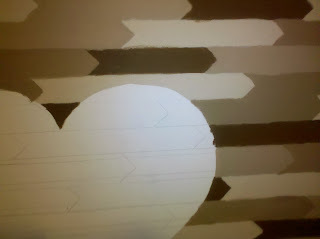 I then took the corner of a postcard and made some 'arrows' throughout each line...and then I hand drew (scary!) a large heart in the middle, as you can kinda see in the next picture. All together I did four different shades of brown. I hope they're enough different that they're distinct but not so much that there's too much contrast. 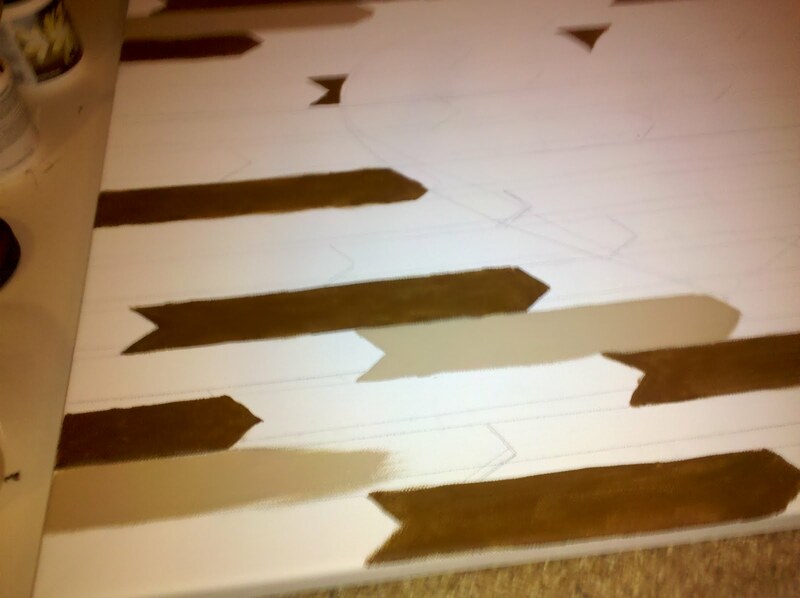 There was no method to the shades I just kept adding drops of white & brown until I found a shade I liked. 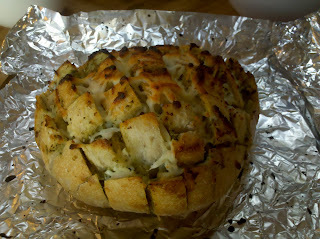 I found a recipe for cheesy pesto bread on pinterest this week and knew I had to try it! It was DELICIOUS!!!! And with only 3 ingredients I will definitely be making it again! You could make it with any number of variations but pesto sounded so good so that's what I stuck with. The recipe came from ourbestbites and you can check it out for more detailed instructions but for the quick version...use sourdough bread and cut it into squares like a checkerboard, but don't go all the way through the bottom of the bread (you want it to all stay attached) then take the pesto and squeeze it into the cracks...don't worry about getting all sides or each piece, it will seep through. Then stuff mozzarella in the cracks as well. 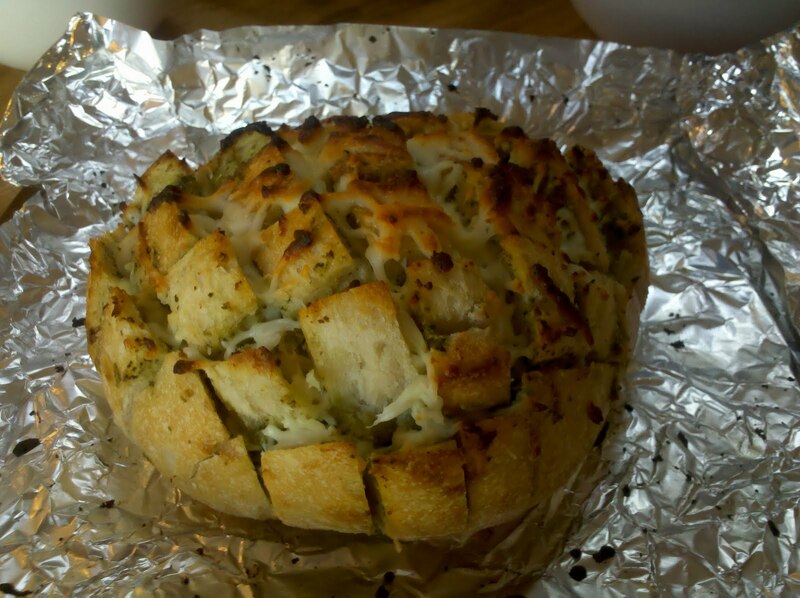 Top with extra pesto & cheese and bake at 350 for 10-15 minutes. Ta da! You are done! It is so easy and so incredible yummy, I think I ate half the loaf! (don't judge me until you make it yourself) And if you can stop after a couple bites I commend you...you have much more self-control than I! This room makes such a statement! And yet its still so wonderfully understated...love it! Especially that chandelier! And I'll be landing in New York City!!! I am SOOOOO excited! Ridiculously excited! I'm really liking round tables lately, too bad my dining room is way too small to attempt that...unless you know I wanted a two seater cocktail table, but lets face it, that's not very practical. bummer.